The BMW M78 is a straight-six OHV piston engine. It is the first straight-six automobile engine produced by BMW. The engine initially had the same bore and stroke as the four cylinder engine from the BMW 3/20; the bore spacing was increased to allow for further increases in bore and to provide for more crankshaft bearings. The engine was designed by Fritz Fiedler. This first version of the M78 used a bore of 56 mm (2.2 in) and a stroke of 80 mm (3.1 in), with a compression ratio of 5.6:1. It produced 22 kW (30 PS; 30 hp) at 4000 rpm and 68 Nm (at unknown rpm). A development of the 303 version, where the bore was increased from 56 mm (2.2 in) to 58 mm (2.3 in) and the stroke was increased from 80 mm (3.1 in) to 94 mm (3.7 in). The compression ratio remained at 5.6:1. This engine produced 25 kW (34 PS; 34 hp) at 4000 rpm. 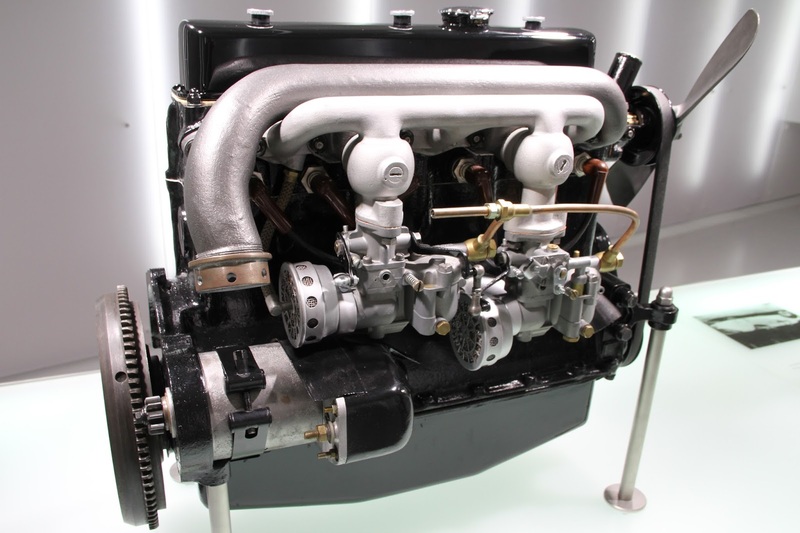 An upgraded version of the 315 engine with the compression ratio increased to 6.8:1 and using three Solex carburetors. This version produces 30 kW (41 PS; 40 hp) at 4000 rpm. The 315 engine was enlarged to 1911 cc for the 319. This was a result of increasing the bore to 65 mm (2.6 in) and the stroke to 96 mm (3.8 in). This engine produced 45 bhp (34 kW) at 3750 rpm. The 315/1 engine was enlarged to 1911 cc for the 319/1. This was a result of increasing the bore to 65 mm (2.6 in) and the stroke to 96 mm (3.8 in). This engine produced 55 bhp (41 kW) at 4000 rpm. The 319 engine was enlarged to 1971 cc for the 326 by increasing the bore by one millimetre to 66 mm (2.6 in). Twin 26 mm Solex carburetors were used. The compression ratio was raised to 6.0:1. This engine produced 50 PS (37 kW) at 3750 rpm. The 326 engine was detuned (by using a single carburetor) for the 320 and 321. This engine produces 34 kW (46 PS; 46 hp) at 3750 rpm. The 327 used a version of the 326 engine with a new cylinder head, yielding a 6.3:1 compression ratio and a slight power increase to 55 bhp (41 kW; 56 PS) at 4500 rpm. The post-war BMW 501 was powered by an updated version of the M78. Redesignated the M337, the updated engine had a revised cylinder head, a completely new inlet manifold, and a reinforced crankshaft with bigger, more modern bearings. Last updated on 10 March 2013 at 09:59.